Are you getting hungry by the mere sight of this burger? Well, we don’t blame you. The hamburger is by far one of the most well-liked and beloved foods in our modern culture. As the quintessential American comfort meal, the U.S. alone eats a whopping 13 billion hamburgers a year. (That’s a lot of meat.) But over the years, the simple meal has become a universal staple among many. With its growing popularity thanks to affordability and ease, the meaty sandwich has earned an annual holiday with many celebrating National Hamburger Month throughout the month of May. Okay, so let’s be honest. A lot of us celebrate this everyday. But in what might sound like a joke at first, the fact remains that the hamburger is definitely worthy of a month in its honor. While the term hamburger derives from Hamburg, Germany’s second largest city from where many emigrated to America, the concept of a hamburger came from the good old United States. Though historians believe it was crafted sometime in the 1800s in Wisconsin, New York magazine suggests the first hamburger was sold in a small lunch wagon in New Haven, Connecticut during the early 1900s. Today burgers hold a high place in our culinary psyche as they carry a lot of weight in the nostalgia of American culture and take us back to simpler times. Travel anywhere in North America and you will come across an endless number of ways to eat a burger. Hamburgers are not just lettuce, tomatoes, onions and cheese anymore. With round-the-clock burger joints and roadside diners satiating your late-night craving in mere minutes, burgers are a celebrity in their own right full of fun toppings and catered to your desires. In recent years, burgers have been the food many chefs and food artists have played around with, experimenting by using state-of-the-art ovens or grills, and crafting burgers from Kobe or Black Angus beef, to treading unconventional paths of gourmet and artisan. But you don’t always require a good cow to create a yummy burger. Burgers extend past beef with turkey, salmon, chicken and whatever you can imagine. Additionally, to accommodate vegetarians and vegans, burgers have transformed into veggie burgers made of lentils or soy. With the weather warming up, it’s the perfect time to celebrate National Hamburger Month. In honor of the day, we share five of our favorite establishments in the United States that are highly recommended. With four locations across the Midwest, BRU Burger Bar is a striking yet cozy space in beautiful downtown Indy. Situated on the gorgeous and cultural block of Mass Ave., BRU offers delicious bistro-styled burgers that pair exceptionally well with a local craft beer or their hand-dipped milkshakes. From creative snacks and sweet potato tater tots that are out of this world, BRU pays homage to what makes a burger great. Heeding to innovation and delivery, everything at BRU is prepared in-house, including the bread, mayo, and ketchup. Moreover, BRU is the ideal atmosphere for a date or a casual get-together with friends. In what might be arguably the most popular burger joint in Tennessee, Gabby’s Burgers & Fries is a family owned and operated burger shack serving thick double cheeseburgers. Boasting a friendly atmosphere and speedy service, it’s no wonder this spot was featured on Food Network’s Burgers, Brew & ‘Que. With grass-fed beef burgers, handmade milkshakes, and sweet-potato fries, this South Nashville diner draws plenty of crowds everyday to this down-home lunch-only spot. Though TAG constructs some pretty out of this presentations with their burgers, they live up to the hype and art. Created by notable chef, Troy Guard, TAG Burger Bar has a penchant for inventive creations mounted with tasty toppings that are not your average accents. From green papaya slaw to shiitake, to black bean puree and burrata cheese, TAG takes burgers to the next level. The best part is they offer a build-your-own-burger concept where patrons can start with a basic burger and work their way up between $7 to $10. Can’t mention burgers without heading to Texas! 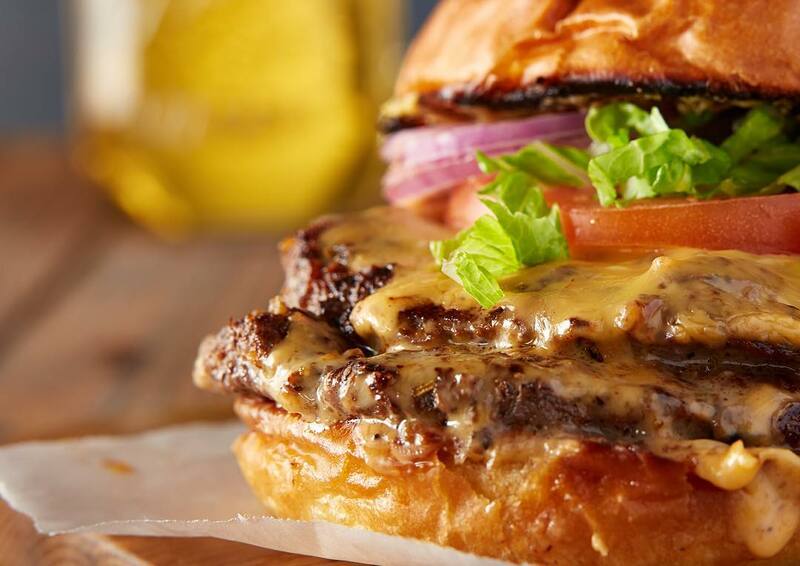 Just like everything else in this Lone Star State, the burgers here are larger than life. One diner in particular that stands out is Dutch’s Hamburgers in the Fort Worth University area. Serving homemade fries, shakes and draft beer, Dutch’s burgers come in half pounds only, so sharing would be a good idea. Their meat is seasoned exceptionally well with flavors that burst in your mouth and blends perfectly with its sweet buns. From Texana to Chili Cheese, Dutch’s doesn’t serve classic burgers as they broaden burger appeal to further your dining experience. What are some of your favorite hamburger joints across the country? Let us know in the comments below.